Oil and Gas Archives - Liftomatic™ Material Handling Inc.
As technology continues to develop at break-neck speed, the industrial sector continues to find new ways to improve processes thanks to these upgrades. The oil and gas sector is no different in this regard. For example, you’ve likely been reading a lot about drones being used in various applications lately – from faster delivery options for retailers, to improving the safety of military personnel by providing a bird’s eye view of potentially dangerous locales. You’ve probably also seen at least one hovering overhead at a large fair or other gathering as consumers have begun adopting them for personal photography and video recording. And leaders in the oil and gas sector are catching on, too. At BP, drones are now being used as a tool to provide more detailed inspections, detect possible leaks, and assess spill damage in areas that can’t easily be accessed by people. The company also sees similar benefits as the military, as they are able to keep better tabs on security threats from above. In areas like the Middle East, which are rich in oil but not always safe for workers, having the ability to monitor worksites and infrastructure remotely is a major benefit. 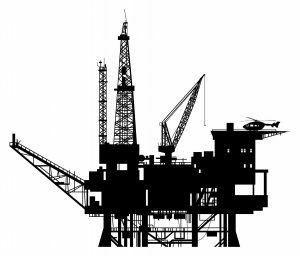 Other technologies shaking up the oil and gas sector include the use of ultrasonic and electromagnetic techniques to inspect process vessels. “The Asset Integrity Theme Landscaping Study,” commissioned by Oil and Gas UK looked into this, as well as using sound and microwave sensing to inspect corrosion in structures such as pipelines. Overall, the main goal in this field is to improve problem detection and visibility to avoid major issues from cropping up in the future. Many methods are coming about to accomplish this goal thanks to new technologies. As new advancements continue to develop, we look forward to seeing how they can improve the oil and gas supply chain.